Manchester is known internationally as one of the UK’s best places to live, a reputation that locals and students alike will never tire of flaunting. Buzzing nightlife, expansive shopping centres and an ever-rising skyline all show off the best Manchester has to offer, but in stark contrast to this the issues of rough sleeping and homelessness are as visible and severe as ever. Despite the abundance of new housing developments popping up across Manchester, those at the bottom of the social ladder remain forgotten. Figures from homelessness charity Shelter last year reported that the number of people without a permanent residence rose 30% on average from 2016. Homelessness now affects 1 in 633 people in Greater Manchester, with many of those forced to stay for long periods in B&Bs or hostel-type accommodation. 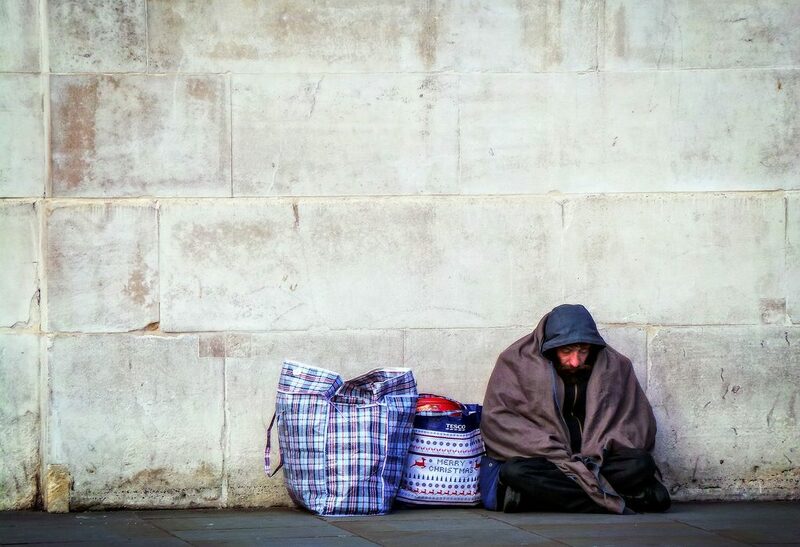 From that number, official reports claim 278 people were sleeping rough throughout 2017, although according to claims by GPs, council workers and charities, the true figure could be twice that due to inaccuracies in the collecting of the statistics. An issue as prevalent across the entirety of Manchester (Only 2 boroughs saw a significant decrease in homelessness across 2017) needs to be met with a heavy-handed solution, which is being delivered in part by the Greater Manchester Combined Authority (GMCA) and a whole host of local charities and groups, many of which are either owned or greatly aided by Manchester’s student population. Greater Manchester Mayor Andy Burnham made it a manifesto pledge to eradicate rough sleeping by 2020. As of August of this year, over £2.6m has been put into the fund for the scheme, which focuses on using homes owned by private landlords and housing associations to offer those who have been sleeping rough for a number of years a stable and far less challenging way of life. The scheme has so far appeared to be a success as it boasts a 100% retention rate of participating homeless people. While the work of the GMCA appears to be both widespread and effective, the scale of homelessness in Manchester is such that other groups will inevitably need to contribute to the cause. One such group, Big Change Manchester, seeks to directly empower local homeless people by providing them with the practical items they need to move forward in their lives. They accept applications for flat furnishings, clothes for job interviews, funding for training courses, and a whole host of other things that can effect long-term change in the lives of homeless people. Their funding panel is made up of a former rough sleeper, as well as those who are experienced in working with both homeless people and local business, councils, universities etc. in order to better connect those in need to those who can offer tangible support. Another prominent Manchester organisation, Love For The Streets, seeks to tackle engagement with homelessness predominantly among young people, a demographic they claim ‘charities struggle to reach…in the ways that engage them.’ LFTS works with many other groups, including Big Change Manchester, to spread awareness through digital marketing, education and music & technology based events. They aim to provide a platform that encourages a broad and diverse range of students to engage with local issues and inform student communities about the tangible ways they can benefit those in need of support around them. LFTS utilises social media and event marketing unlike many other currently existing groups, giving them an incredible amount of coverage and connections to other successful groups. Networks that exist between groups such as LFTS and Big Change Manchester are undoubtedly the way forward, and only through collaboration can the unfortunate rise in homelessness be reversed, a goal that both students and locals alike can easily pursue given the ever-increasing visibility of charitable organisations.